More than 13 percent of the world’s population is now on Facebook. The social network giant released an updated S-1 filing to the Security and Exchange Commission this afternoon, detailing data from the first quarter of the year. 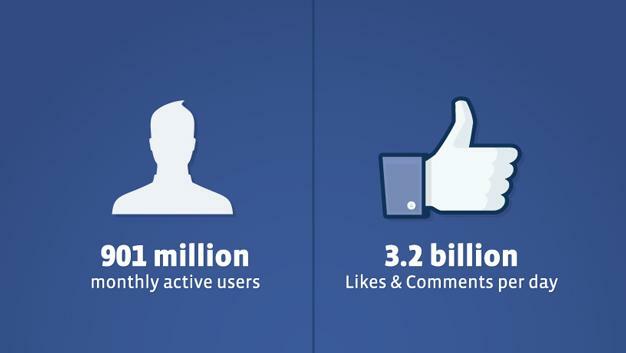 According to the S-1, Facebook currently has 901 million monthly active users — a 33 percent jump from last year. Of the 901 million users on Facebook, 526 million of them (58.3 percent) use the site every day. That’s a 41 percent increase from the 372 million daily active users (DAUs) that visited the social network as of March 2011. Facebook also says that 488 million monthly active users (MAUs) used Facebook’s mobile apps in March of this year. The 901 million people on Facebook have created a total of 125 billion friend connections, the company says. And, on average, the total Facebook community produces 3.2 billion “likes” and comments each day. On the financial front, Facebook says that it earned $1.1 billion in revenue during the quarter ending March 31, a 44.7 percent increase from the same period last year. However, profits are down; Facebook’s net income for the first quarter 2012 came in at $137 million, down 10.7 percent year-on-year. The update to its S-1 filing is just further evidence that its initial public offering is coming up fast. The company is widely expected to file in mid- to late-May, with some reports suggesting it will officially go public on May 17. Earlier today, Facebook announced that it plans to purchase 650 patents from Microsoft for about $550 million — patents that Microsoft purchased this month from AOL. Facebook is expected to use its patents to help fight back Yahoo, which recently sued the social network for patent infringement. Yahoo says that the Facebook-Microsoft deal shows that Facebook is weak. Perhaps. According to Facebook’s S-1 filing, however, the greatest danger to Facebook and Facebook’s investors is a failure “to retain existing users or add new users,” which would “significantly” harm FAcebook’s “revenue, financial results, and business.” But for now, this does not appear to be an area Facebook needs to worry much about.